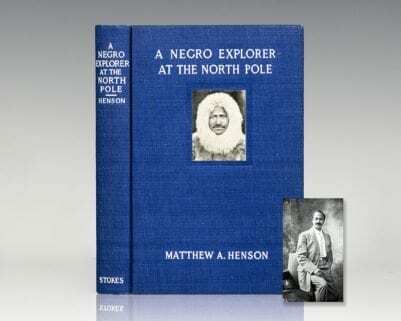 Looking for a rare travel or exploration book online? Look no further than Raptis Rare Books. With over one hundred vintage travel and exploration books in our collection ranging from a Bill Clinton signed copy of Traveler Magazine to Edmund Hillary’s You Don’ Have to be a Hero to Accomplish Great things, Raptis Rare Books is sure to have the rare book you are looking for. 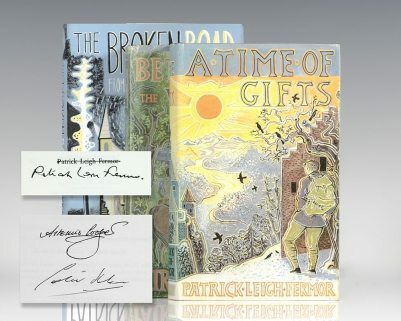 Browse our collection of autographed books here & contact us for any questions! Boynton, C.B. and T.B. Mason. A Journey Through Kansas; with Sketches of Nebraska: Describing the Country, Climate, Soil, Mineral, Manufacturing, and Other Resources. Cincinnati : Moore, Wilstach, Keys, 1855. Rare wrapper-bound issue of the second book on Kansas. Octavo, original wrappers, with a folding map of Nebraska and Kansas by Boynton. The pictorial advertisement for the publisher on the rear wrapper features a picture of the establishment. With “Sixth Thousand!” printed at the top of the front wrapper. In good condition with some wear to the spine and extremities. Housed in a custom half morocco and chemise case. Rare and desirable. 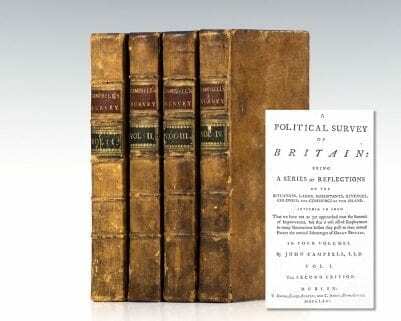 A Political Survey of Britain: Being a Series of Reflections on the Situation, Lands, Inhabitants, Revenues, Colonies, and Commerce of This Island. Dublin: T. Ewing and C. Jenkin, 1775. Rare second edition of John Campbell’s classic survey of late sixteenth century Britain. Octavo, four volumes, bound in full contemporary calf, raised bands, red and green morocco spine labels, gilt titles. In good condition. New York: Doubleday & Company, 1958. 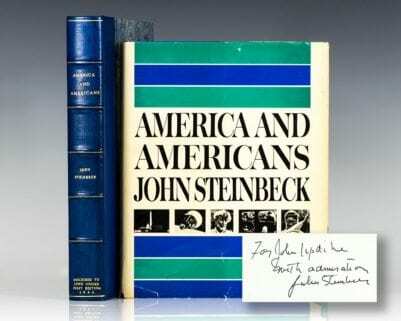 First American edition of the author’s classic work. Octavo, original cloth, pictorial endpapers. Signed by Eric Newby on the title page. Near fine in a very good dust jacket with light rubbing and wear. Although not marked this copy is from the library of travel collector, Mary Anna Marten, who was the daughter of the 3rd and last Lord Alington of Crichel and later trustee of The British Museum. New York: Privatley Printed, 1918. 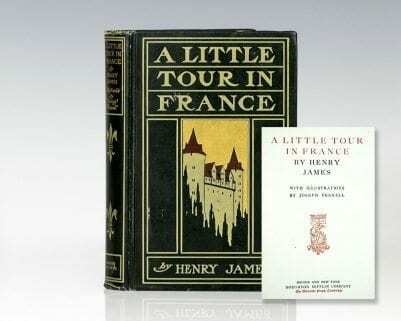 First edition of Vanderbilt’s account of his travels throughout Europe and North Africa. Octavo, original blind-stamped publisher’s cloth, gilt titles and tooling to the spine, frontispiece map of the Tunis Tour, illustrated with engraved photographs, folding map. In near fine condition. A very sharp example. A Voyage to Cacklogallinia: with a Description of the Religion, Policy, Customs and Manners of that Country. First edition of this early 18th century satire published in imitation of Johnathan Swift’s masterpiece Travels into Several Remote Nations of the World, or, Gulliver’s Travels. Octavo, bound in full brown morocco by Charles Thurman, Binder. 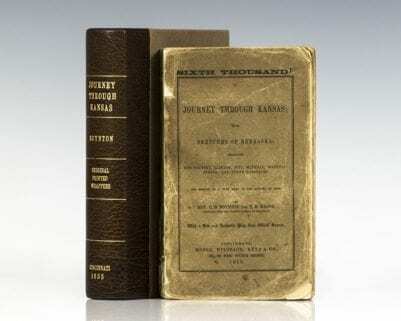 Raised bands, gilt titles and tooling to the spine, embossed front and rear panels, engraved frontispiece. From the library of NASA scientist and science fiction expert Frederick I. Ordway III, best known for his contribution to the development of close personal friend, Stanley Kubrick’s, epic film 2001: A Space Odyssey. Rare. African Hunting From Natal to the Zambesi Including Lake Ngami, the Kalahari Desert, &c From 1852 to 1860. First edition of Baldwin’s account of his 8-year hunting expedition throughout South Africa. Octavo, bound in three quarters morocco with gilt titles and tooling to the spine in six compartments between raised bands, top edge gilt, marbled endpapers, engraved frontispiece portrait of Baldwin with tissue guard, with illustrations by James Wolf and J.B. Zwecker, folding map of South Africa with Baldwin’s route marked, illustrated advertisements at rear. In near fine condition. A very nice presentation. Rare and desirable. New York: G. P. Putnam’s Sons, 1938. First trade edition of Byrd’s account of his harrowing 1933 Antarctic expedition. Octavo, original cloth. Inscribed by the author on the half title page, “To Louis Schlosse R.E. Byrd.” Laid in is a collection of articles related to Byrd including an obituary. In near fine condition, bookplate and ownership signature of the recipient. Decorations by Richard E. Harrison.